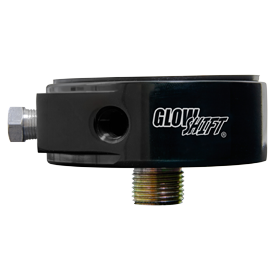 GlowShift’s White Elite 10 Color Gauge Series features a white gauge face with a clear lens, 10 selectable colors, as well as self-calibration and stepper motor technology. Each White Elite Gauge is driven by a microprocessor controlled stepper motor which ensures for accurate readings and exceptionally smooth needle movement. 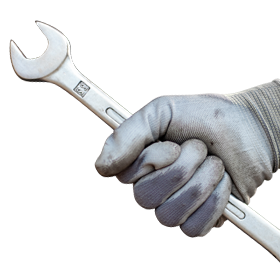 When powering your gauge on and off you will be alerted with a startup or shutdown sequence that guarantees your gauge is functioning properly and the peak recall function will display your last peak value for added monitoring of your levels. 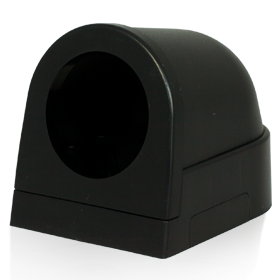 The White Elite 10 Gauge Series allows you to program your own high and low warning points that will alert you visually and/or audibly when you reach that set level. 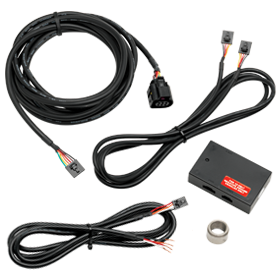 The modular power connections allow you to power each gauge with a single power wire and single wire electronic sensor connections for a quick and easy installation. 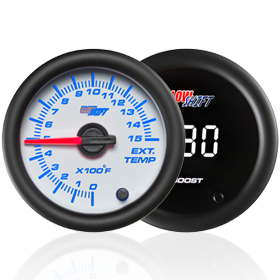 The White Elite 10 Gauge Series are available in various gauge types including, Boost Gauges, Exhaust Gas Temperature Gauges, Fuel Pressure Gauges, Transmission Temperature Gauges, and many more. Each gauge has a magnified lens, illuminated red needle that sweeps 270 degrees for maximum accuracy, 10 color through dial LED lighting, and a dimmer feature that allows you to dim the gauge lighting 30% for easier visibility when driving at night. The 10 Color though dial LED lighting allows you to match your factory dash lights or add a unique style to the interior of your vehicle. The color memory recall option ensures you never have to worry about resetting the gauge back to your desired color every time you power on your vehicle. Each Elite 10 Gauge is electronically driven and includes all sensors, wiring harnesses, mounting hardware, and installation instructions, as well as allowing you to power an additional three Elite 10 gauges with the daisy chain feature. 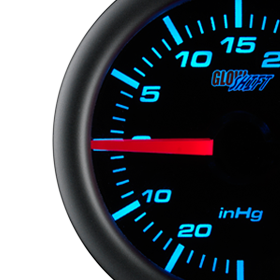 GlowShift includes a one year limited warranty and free lifetime technical support with every Elite 10 Color Series Gauge. Spread GlowShift Cheer to All the Motor Vehicle Lovers You know!